In the final hours of December 18, 1813, approximately midway through the War of 1812, some 500 British soldiers (regulars) as well as some 500 militia and Indians—crossed the Niagara River from Canada determined to seize Old Fort Niagara on the opposite shore in New York. By sunrise on December 19, the British were victorious and America's Niagara frontier lay open to attack. From Old Fort Niagara, the British marched on to destroy Youngstown, Lewiston, Manchester, Fort Schlosser, Black Rock, and Buffalo. While America countered these losses on other fronts, denying the British a sizable lead in the war, control of the fort allowed the British to dominate the Niagara River and regulate access to the Great Lakes where fighting continued. Though Fort Niagara was ceded to the United States after the Treaty of Paris ended the American War of Independence in 1783, the region remained effectively under British control for thirteen years. 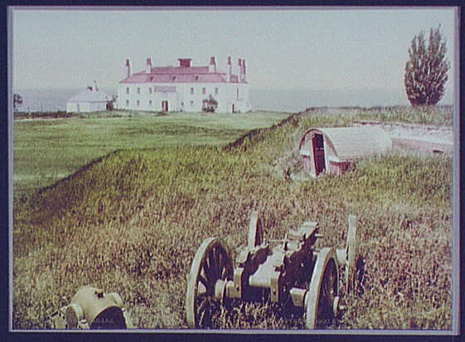 Only after signing of the Jay Treaty did American forces occupy the fort in 1796. In the interim, United Empire Loyalists fleeing persecution in the new USA were given land grants, typically 200 acres (81 ha) per,[clarification needed] in Upper Canada and some were sustained in the early years partly by aid from the military stores of the fort. The British captured Fort Niagara during the War of 1812, on the night of December 19, 1813. British forces relinquished it to the United States with the Treaty of Ghent. It has remained in US custody ever since.